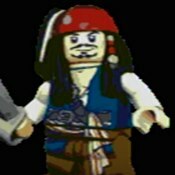 Description: The bootleg Genesis version of Lego Pirates Of The Caribbean. Go on a pirate adventure! Fight bad guys and try to find your treasure! Game Controls: Enter Key = START Button . Arrow Keys = MOVE. Space Bar = SELECT. A, S, Z, X, D, C Keys = Action Play Keys. F5/F8 Keys = Save/Load game.